GStreamer comes with a number of plugins that allow rendering of text and/or graphics overlays on top of video: rsvgoverlay, subtitleoverlay, textoverlay, cairooverlay, gdkpixbufoverlay, opencvtextoverlay, etc. However, some of these plugins often allow only static graphics and text, and often do not approach the flexibility and power of dedicated video post-processing software products. Qt was chosen for its ease of integration of modern WebKit (QtWebKit) and GStreamer (qt-gstreamer), and its ability to render widgets to RGBA images. The QMainWindow widget is rendered in regular intervals to QImages in RGBA format, then inserted into a GStreamer pipeline via the appsrc plugin. This pipeline simply uses udpsink to multicast the raw video RTP packets on localhost to allow for multiple ‘subscribers’. A second GStreamer pipleline can then use udpsrc and apply the overlay. 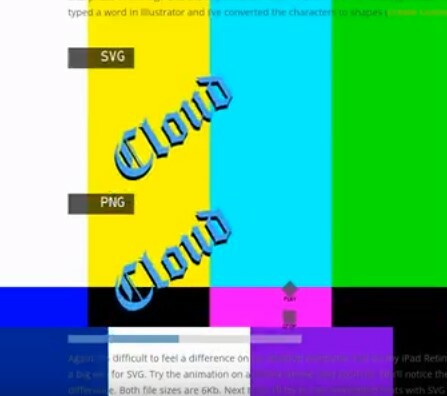 The following demonstration video was generated with “noweffects”: A website (showing CSS3 animations), rendered to an RGBA video via QtWebKit, then overlaid on top of a video test pattern in a separate GStreamer process. A life without risk is not worth having. People are more upset about the things they didn’t do than the failures they encountered.